"At the begining of the 20th century the vlach villages may be classified according to their economic activities in two foundamental but not clearly distinctive groups: 1) villages where the stock-breeding economy was dominant and 2) villages where the trade and artisan economy was dominant. ... Wherever the Vlachs (Armani) shared the same habitations with other groups, they were usually found on upper layers of the local economic, social and cultureal structure" A Koukoudis 1999. The Arrman Nikolaos Stournaras (1806- 1853) and his wife. The Armani N. Stournaras, Eleni Tositsa, Michail Tositsas and Georgios Averof, whose origin is from the town of Metsovo in Epirus were the b enefactors of National Technical University of Athens (Greek: Εθνικό Μετσόβιο Πολυτεχνείο, National Metsovion Polytechnic), the oldest and most prestigious higher education institutions of Greece. 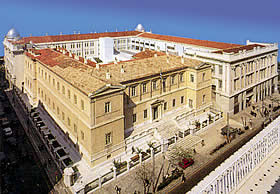 It was founded in 1836 as a part-time vocational school named Royal School of Arts which, as its role in the technical development of the fledgling state grew, developed into Greece's sole institution providing engineering degrees up until the 1950s, when polytechnics were established outside of Athens. 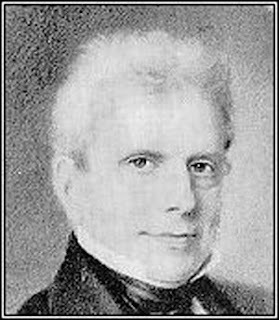 He served as Greek Consul in Vienna, and later as Minister to Austria, Kingdom of Bavaria and Germany. The son of Georgios Sinas, also a benefactor and diplomat. He also made major donations to various educational and scientific foundations in Austria, Hungary and greece. 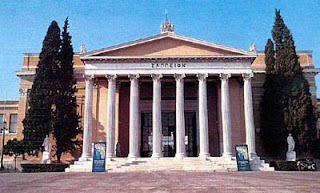 His father Georgios had made the foundation of the National Observatory of Athens possible. He was born in 1800 in Labove near Tepeleni in the N Epirus (southern Albania). He later fought with the Greek resistance forces in the Greek War of Independence against the Ottoman Turks. In 1831 he emigrated to the border of Wallachia and Moldovia (now part of Romania and Moldavia). He was also the founder of the modern international Olympic games. 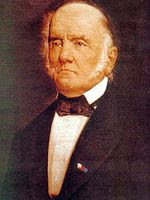 He was born in 1800 in Labove near Tepeleni, in the Ottoman Empire modern-day southern Albania). He later fought with the Greek resistance forces in the Greek War of Independence against the Ottoman Turks. In 1831 he emigrated to the border Wallachia and Moldavia (now part of Romania and Moldavia). In 1859, he succeeded in reviving the Olympic games in Athens, Greece. 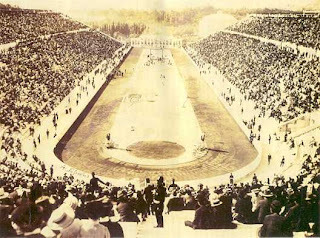 Zappas died before the next Games that he had sponsored, but due to his bequeathing a large part of his fortune for the continued revival of the Olympic Ga mes, they were held again in 1870, and 1875 at the Panathenian stadium in Athens.Zappas had funded the first modern, purpose-built, Olympic building called the ZAPPEION. The head of Zappas is buried beneath his memorial outside the Zappeion in Athens which is located opposite the Panathenian stadium. Born in theAromanian town of Metsovo, Averoff moved to Alexandria while still young. 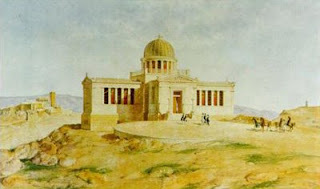 He was known through most of his life for founding numerous schools both in Egypt and Greece. As a benefactor, he contributed funds for the restoration of the Panathenian Stadium in readiness for the 1896 Summer Olympics. This he did at the request of Crown Prince Constantine. In g ratitude for his contributions, a statue of Averoff was commissioned and placed in front of the stadium. In addition, a Greek cruiser, the flagship of the Hellenic Navy, was named after him. 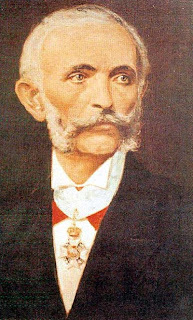 Greek benefactor and minister of Romania. He was doctor and scholar from Hotahova in northern Ipeiros His greatest offer however was in the field of educating female teachers by founding and operating the Upper or Girls’ Schools (Arsakeio) which, for a period of 63 years, offered Greek women the c hance to be educated and to educate the younger generation in turn, since the state offered school for men only.